In a pan, add chopped carrot, snow peas, onion and green chillies with turmeric powder and salt and cook it adding little water. Then add grated coconut and mix well. Heat oil in another pan, add mustard seeds and dry red chillies. I have never made thoran with snow peas this sure looks yummy. 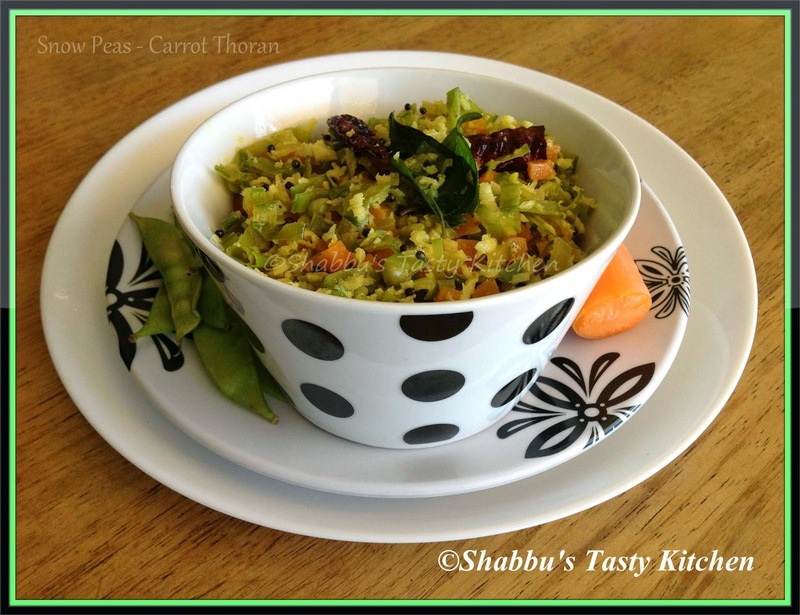 hia Shabbu..a very common a recipe in all our keralit households..is it not ? neatly presented. very colorful and yummy thoran :) looks super inviting ! !